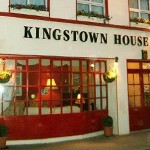 A warm welcome and a healthy dose of hospitality awaits you at Kingstown House B&B, Bridge Street, Clifden, Connemara. 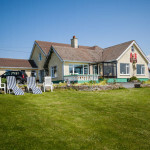 This long established bed and breakfast is located at Bridge Street, Clifden, along the stunning Wild Atlantic Way. Accommodation consists of six comfortable en-suite rooms, including 1-Family Room and 2-Triple Rooms.